There are no soggy bottoms in sight as 'The Great British Bake Off' successfully transitions to its new home on Channel 4. 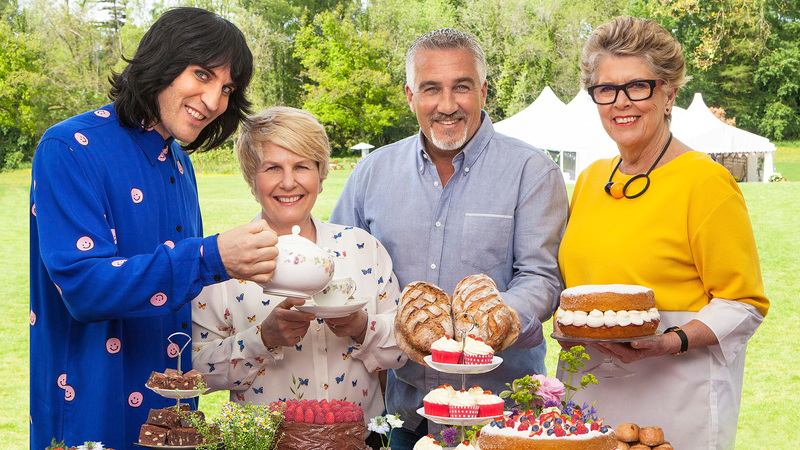 The Great British Bake Off is back once again, but is it still the show we all know and love? Unless you’ve been living under a rock, you will have at least heard of the controversy sparked last year when the BBC refused to pay for the rights to air Bake Off. Channel 4 then swooped in to purchase the programme. This was swiftly followed by outrage from fans when it was announced that the new Bake Off would feature new presenters and a new judge (only Paul Hollywood moved with the show). And of course, the news only got worse upon the realisation that the move from the BBC meant one thing – adverts. After months of agonising over how the changes would affect this national treasure of a television programme, I heard many people say, out of loyalty to the BBC, that they would not watch this new series at all. Yet, ultimately the show is very much the same; it has the same format, the same family atmosphere and, most importantly, the same tent. What’s more, most of those I know who initially refused to watch somewhat reluctantly enjoyed it. Not only does the programme feature all the same quaintness and baking goodness, but the new presenters and judge are certainly adequate. Fielding and Toksvig provide a charming dynamic together, seemingly going with a mother-son rapport which works rather well. Personally speaking, I welcome Fielding’s comic antics and endearing exchanges with the bakers as he tries his best to help and calm them as they stress over achieving the perfect flavour combination. In contrast, Toksvig’s cool, composed attitude adds a great balance to this pair, and it looks as though they’re set to do a great job taking over from predecessors Mel and Sue. New Mary Berry, or Prue Leith as she’s otherwise known, does a good job of judging, delivering insightful baking knowledge and offering her separate opinions on the bakes rather than simply siding with veteran judge Hollywood. Conversely, there is not a lot that Leith offers that distinguishes her distinctly from Berry, unlike Fielding and Toksvig, which seems to be an attempt from the casting team to please fans of the much-beloved previous judge. This being said, Leith very much holds her own in the tent, which is good to see, and it is evident that her experience will be an asset, and perhaps it is better that she bears these resemblances to Berry – the success of the programme on Channel 4 relies on appearing as similar as possible to when it played on the BBC. In true Bake Off fashion, Week 1 sees the new class of bakers take on fruit cakes, mini rolls and show-stopping ‘illusion’ cakes, including one disguised as a champagne bucket and even a Russian doll cake. This year’s ever-quirky assortment of bakers is a delight to watch, my personal favourite of the week being Yan: after she had forgotten to turn the oven on, a perfectly timed VT clip played stating that she is, in fact, a biomedical scientist. This new series has turned out very well, and will no doubt continue as strong as it has started out. Fortunately, the much-dreaded adverts are just about tolerable thanks to Bake Off always worth any wait. Hot out of the oven, Channel 4’s fresh mixture has come out as a good bake all round! The Great British Bake Off airs Tuesday at 8pm on Channel 4. Previous episodes are available for catch up on All 4.